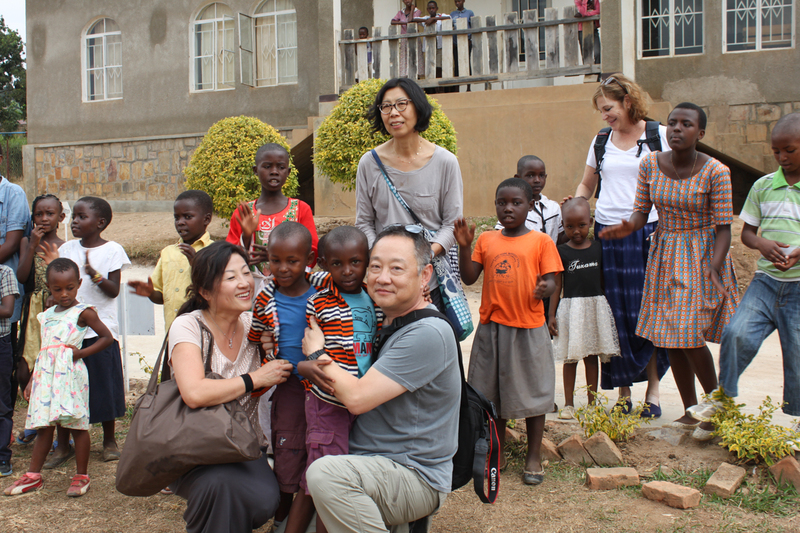 In the afternoon of 25th of July, we went to Kinyinya where a BFR branch is located. Rwanda is made up with 5 Provinces. Each province is further divided into Districts, and then Sectors. 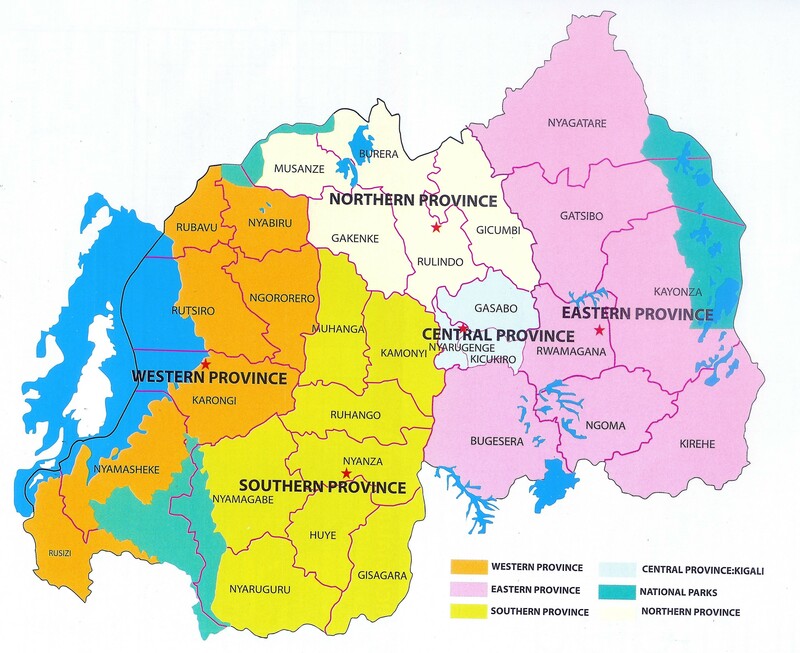 The five provinces are Central or more commonly Kigali, Southern, Northern, Eastern, and Western. Kigali is the capital city and a special one in that its boundary is same as the Central Province. Central Province (or Kigali) is divided into 3 Districts; 1 Gasabo, 2 Kicukiro, and 3 Nyarugenge. Kinyinya is a sector in Gasabo District. 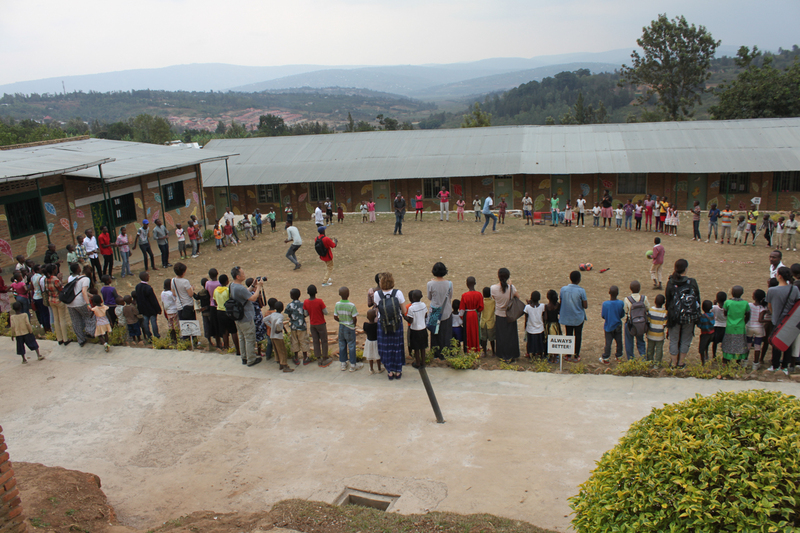 BFR has 3 branch offices in Kigali, one in Gasabo District, and two in Kicukiro District. Gasabo District’s office is in Kinyinya. 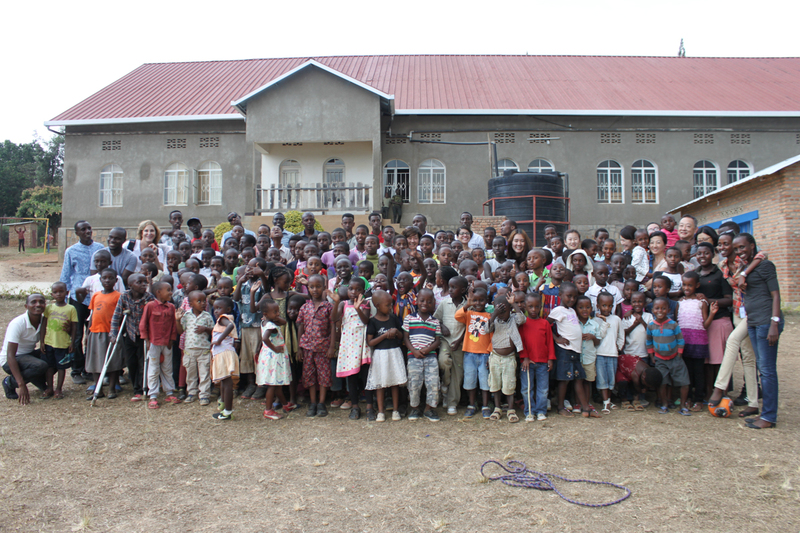 The purpose of this visit was to meet and greet BFR children and staff members. We bussed children from the other 2 branches to here. BFR shares facilities belonging to a local church and school. Hence it was the ideal place to have a such gathering whereas other locations do not have such facilities. 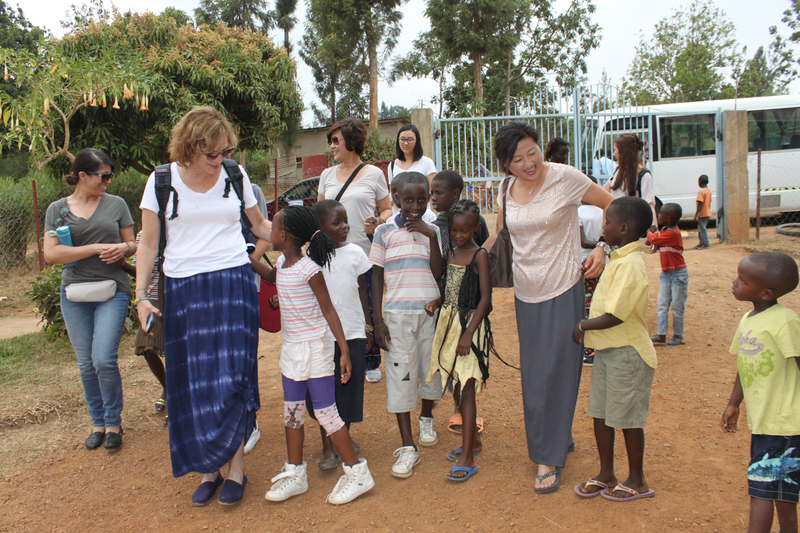 We were eagerly greeted by children hanging out on the hill side as we arrived and got out of the bus. We all jumped up to the hill in response to their friendly gestures. We learned shortly after that they were so called non-BFR kids. It was a sad situation but we had to say bye to them and cross the dirt road to the BFR branch office. Here, we were greeted by the real BFR kids. 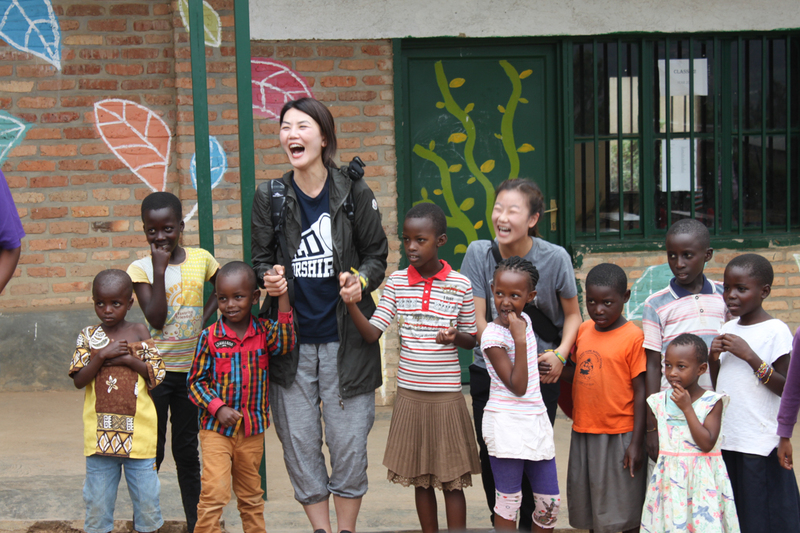 The stark differences between non-BFR and BFR kids were clean clothes, footwear, happy face, and well-mannered behavior. 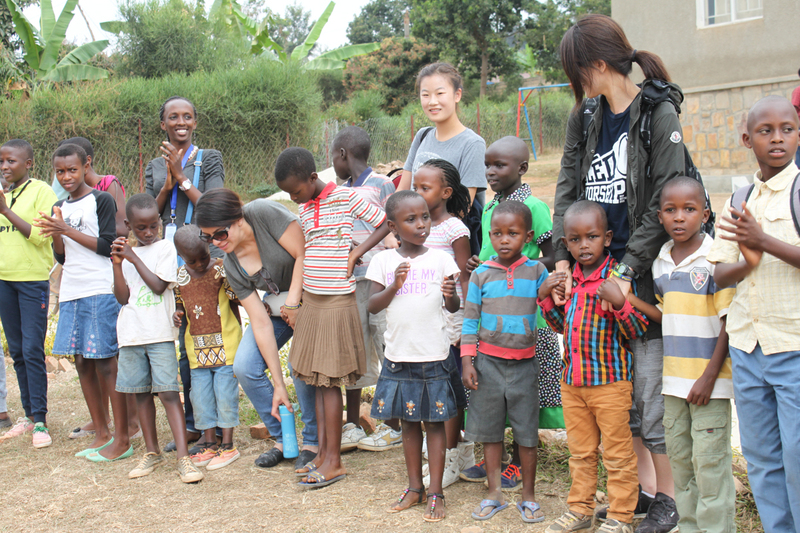 Kids and staffs made a big circle and we interspersed ourselves among kids. Some older kids were leading BFR catch phrases to get kids’ attentions: “Best Family!”, “Here we are!”, “Best Family!”, “Confident Hope!”. In fact, any time they hear somebody shouting “Best Family!”, they all paid attention with the corresponding shouts. Older kids also had done some dance sequences that had everybody’s attention. 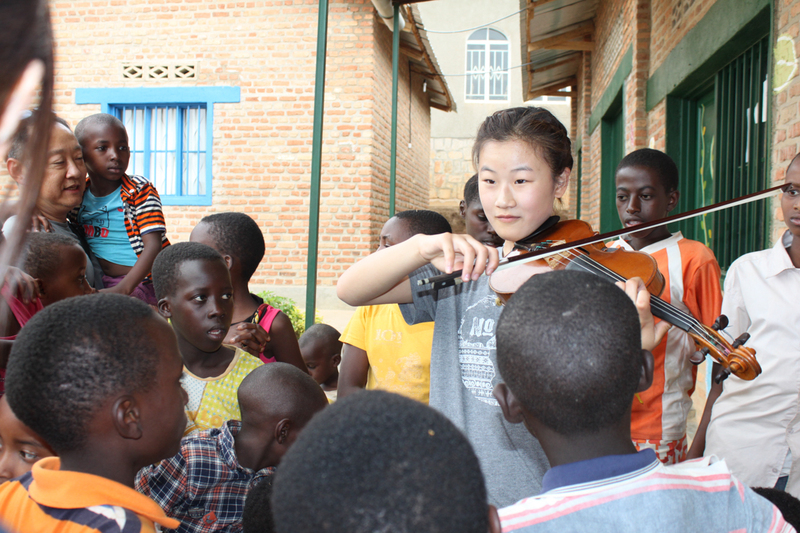 They were treated with a lovely violin music, and it was most of their first encounter with a strange looking musical instrument. Break time! Get your yummy bread and a full cup of milk. Before eating they all washed their hands with limited amount of water. Part of personal hygiene education. 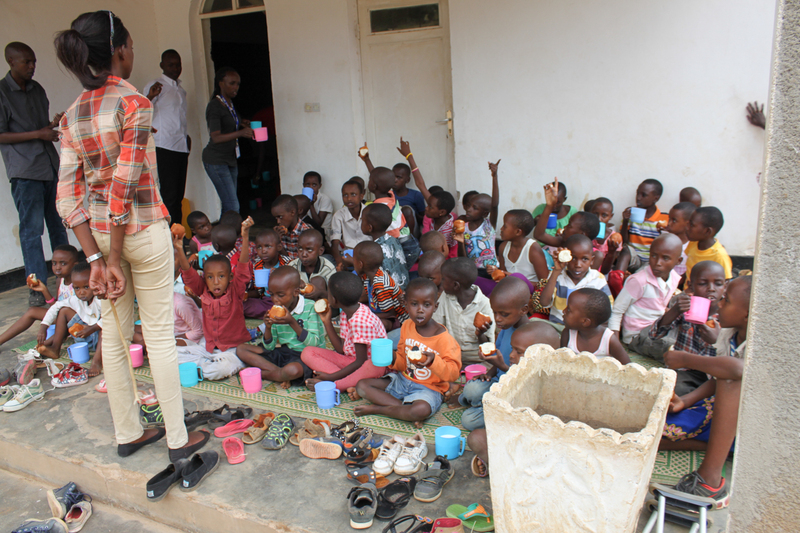 Older kids took care of collecting and washing cups. Part of serving leadership education. Non-BFR kids were still out there looking over the iron fence, a heart breaking scene. More sponsors are needed! Group picture before calling the day off.